Freelancer can be defining as “Specialize in a particular field and earning from it is called freelance”. Or Self-employed and hired to work for different companies on particular jobs! Working for a company does not classify as freelancer. You can utilize your own skills and earn out of box. 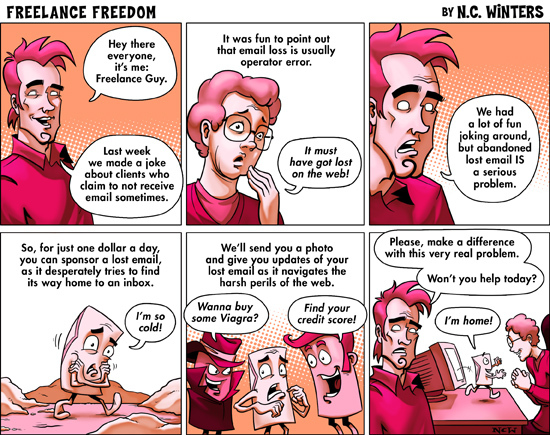 This is an interesting comic for all freelancers. This shows the input from freelancer and expecting money. How the client and freelancer meet the project? You can give your opinion about experience.